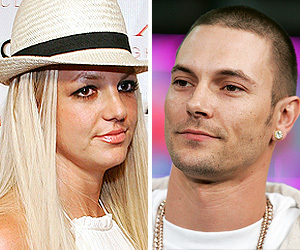 A judge has ordered Britney Spears to pay $120,000 of Kevin Federline’s legal bills in their ongoing custody battle. L.A. Superior Court Commissioner Scott Gordon made his decision based on the “disparity between the parties’ income” and that the majority of the litigation “deals with [Spears's] conduct." K-Fed’s lawyer Mark Vincent Kaplan originally requested on Oct. 10 that Brit pay $160,000. Last week, “Extra” obtained court documents showing that Kevin grossed only $7,436 after business expenses last year. Calling himself a “self employed performance artist,” he has said previously he makes no net income. Britney, on the other hand, rakes in $737,000 each month. As Britney and Kevin battle for kids Sean Preston and Jayden James, Kaplan is shooting down the rampant rumor that Kevin wants the kids just so he can ask the court for more of Brit’s money.